This series asks all sorts of bloggers who their dream dinner guests are, and why. As you’ll find out there is quite an eclectic mix! This weeks dinner guest wish list is from Natalie. 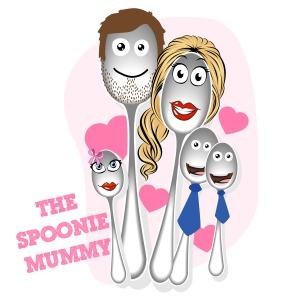 You can find Natalie’s blog over at The Spoonie Mummy. Queen Victoria – I am a huge fan of history and the Tudors and Victorians are two of my favourite periods. Having recently read a couple of books about Victoria and watched the TV series about her, I have learnt a lot more. I would love to be able to talk to her about her life. Her dedication to her husband Albert was so inspiring, as was her tenacity and determination to rule the country herself. Ellen DeGeneres – I want to ask her why she isn’t running for President! I think she would be a fab dinner party guest – funny and a fantastic conversationalist. I really enjoy watching her show and think she is a kind, caring philanthropist who would teach me a lot. Tom Kerridge – One to provide the food, but also to talk about food with him. I love my food and watch quite a few cooking shows. Tom is one of my favourites and I would love to try some of his dishes and then talk about food all night! 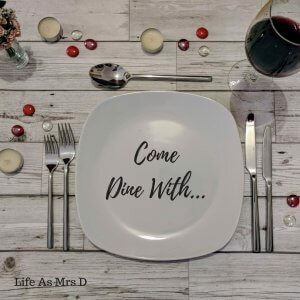 It would be good to hear about his weight loss journey and discuss the food situation I have with trying to juggle it with my Crohns Disease and ileostomy. Hopefully he could share some amazing recipes that would be ostomy friendly! Marilyn Munroe – I am also a big fan of true crime and crime mysteries. I want to know how she really died! I think she was stunning too and it would be great to have a girlie chat with her. Sarah Jessica Parker – I would want to raid her closet for my outfit for the dinner and talk all things SATC! Robin Williams – One of my favourite actors of all time, I was very upset when he died. I would love to hear him tell some jokes and chat about the movies but I would also love to talk about mental health with him. I would love to hear his opinion on what we can do to raise awareness of it, how we can help people struggling and what the NHS could do to provide a better service to patients. 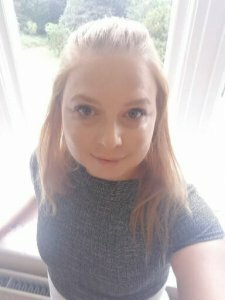 I am currently studying for my degree which is focused around psychology and am very interested in working with children and young people who have been diagnosed with chronic conditions, supporting their mental health. Although grateful for the NHS and the care I receive for my physical issues, I do not feel like mental health is supported nearly as much as it should be. Don’t forget to check out Natalie on Facebook, Twitter, YouTube and Instagram!